We are known for our friendly customer service, we always put the customer first. We offer quick and easy access to your storage units for a hassle-free experience. We offer storage units of all sizes at extremely affordable rates. Whether you are looking for personal storage or commercial storage, we can meet all of your needs. Advantages of trusting us with your storage needs is the added security of an on-site resident manager and enhanced security systems monitoring the storage facility. We provide clean storage facility along with quick and easy access to your storage units for a hassle-free experience. Welcome to A ErtlEcono Self Storage! We have storage unit sizes for all your needs! 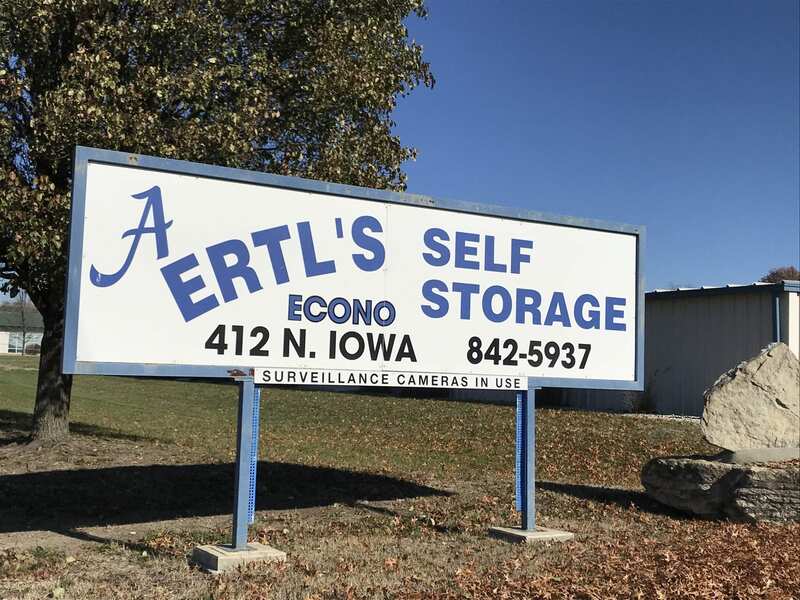 We are a family-owned and operated business that set off in 1985 by Alphonse Ertl to fulfil the needs for storage facilities in Lawrence. His aim for starting the company was to ensure that the customers receive highest quality storage services at the lowest costs available. We believe in offering value for money services, where quality of service should not be compromised just because we offer low monthly rates. The fact that we have sustained our business for over three decades is an indicator of how dedicated we have stayed with our mission. Apart from being budget-friendly, we are also known for our friendly customer service. Our onsite resident manager will not only ensure that your goods are secure but will also help you decide on a storage unit size that meets your requirements. We offer you respite from the long formalities with our no application fee service available and even throw in a free lock with rental! I found this storage facility to be very well run. The management was easy to work, the grounds were very clean, and they had the lowest pricing in town. I would definitely use them again. My partner has had her stuff stored here for the better part of a decade, and I can see why. They're flexible, friendly, and generally accessible. They've always been keen to help us out, no matter how dire the circumstances looked. Their customer service is by far, the best in Lawrence - and so are their rates. © 2018, A Ertl Econo Self Storage. All Rights Reserved.